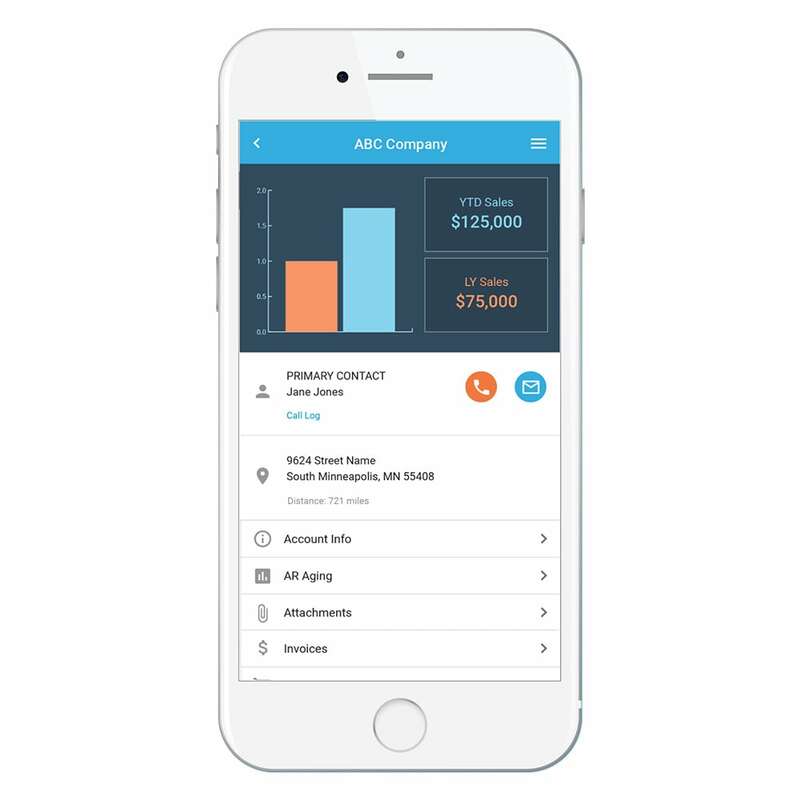 Bezlio allows you to access your Epicor ERP data in real-time, right from your live database, on any mobile device! Bezlio provides a robust app for delivering ERP data to your mobile teams: field service, installation, engineering, and sales. 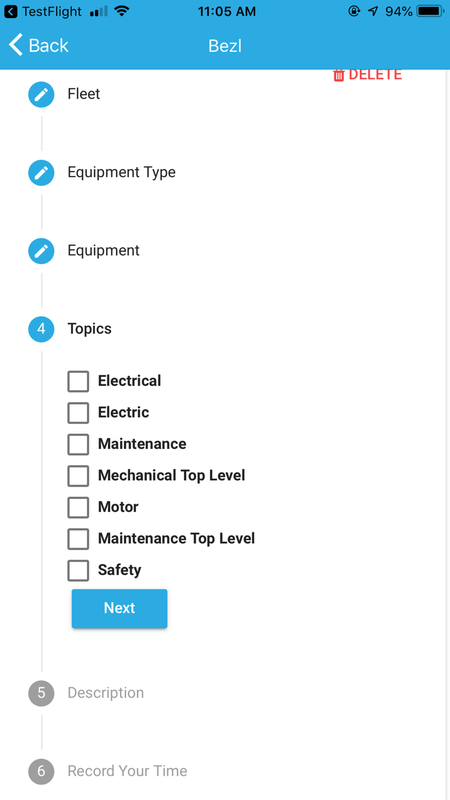 Our app provides real-time, read/write access to your Epicor ERP. Take advantage of mobile push notifications and offline mode with local device caching. Field service teams often need to track their time, record equipment issues, research and update parts/inventory, etc. The process of submitting all of this data back into Epicor ERP may require many steps across several screens. When you consider the amount of time this takes, along with the fact that field workers have to content with spotty mobile reception makes it extremely difficult for field service teams to complete all the necessary steps at the job site. Bezlio allows mobile field service teams to have screens on their mobile device where they can work with data even if they don’t have an internet connection. The one-screen process eliminates the complex multi-screen data entry process, ensuring all information is entered and all steps are completed. + Is Bezlio a two-way integration or is it simply a way to view the information inside of Epicor ERP? Bezlio is a two-way integration that can both read and write information to Epicor ERP. + Does Bezlio read and write directly to the Epicor SQL database? It can read and write directly to both Epicor ERP and SQL. Bezlio can interact with Epicor using the official Epicor Business Objects, or it can communicate directly with SQL. However, we recommend not writing to Epicor tables using SQL, and instead, we recommend using the Epicor business objects. + Can Bezlio work with a cloud (multi-tenant) ERP setup? Or does it work only on-premise? Yes! Bezlio can communicate to a multi-tenant ERP set-up. + Does Bezlio update only the information that has changed since last modified? Or does it rewrite full tables from Epicor? Since Bezlio does not store your data in the cloud, all of the data you are accessing is directly from your Epicor database. On the front-end, the user can set refresh intervals from Epicor down to be as frequent as once per second. When writing back to Epicor, Bezlio uses the business objects to safely perform database transactions. The data that decision-makers need is often already available, but not in a mobile, accessible platform. Learn more about solutions to these challenges here. Giving your employees — and customers — access to enterprise data is not only a necessity in today’s fast-moving market, but it also offers less tangible benefits. Have You Been Looking for an Epicor Mobile Solution for Field Service? If you’re looking for an Epicor mobile app, you might have some difficulty. Thankfully, you’ve already found a solution. Learn how Bezlio can fill the gap here. How the Bezlio team solved our own critical issue to provide customers with push notifications. Our newest Sparkbox Bezl Builder gives you both the powerful at a glance visualization, and the ability to drill-down to understand the underlying data. We are excited to release Bezlio Gallery—a significant new component that makes Bezlio a major player in the self-service analytics market. See how Bezlio lets you create and display your office team dashboard on a TV very quickly, without the need for any additional software. Three easy steps! See how to use machine learning and predictive analytics in manufacturing environments utilizing ERP data and Bezlio!